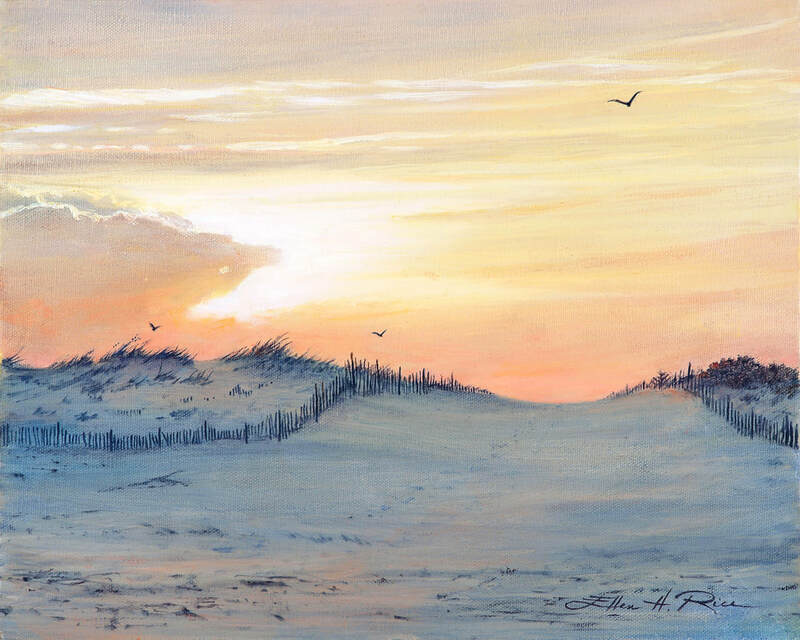 ​archival fine art gicle'e prints by Ellen Rice. 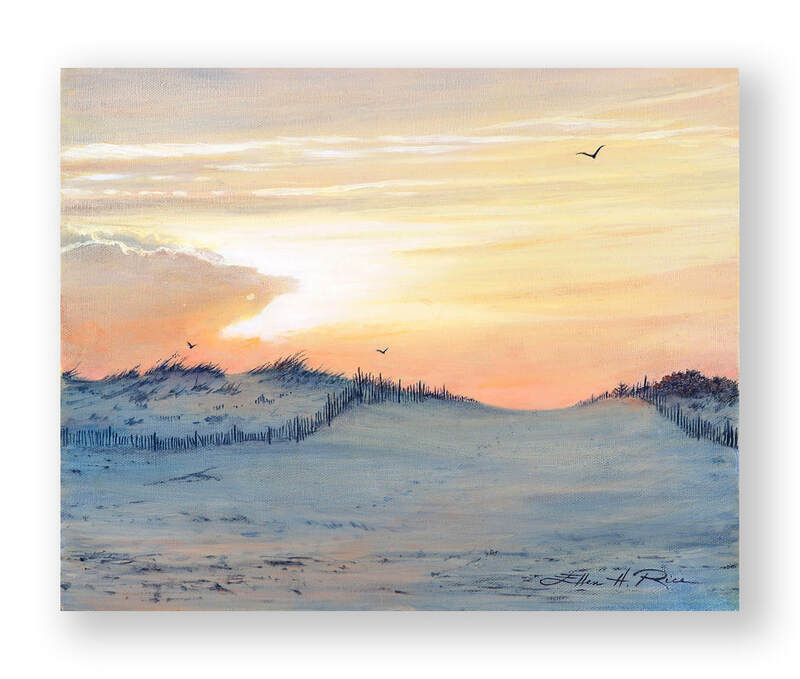 ​When my family was young, we spent countless summer days on the Delaware Seashore State Park beach at Fenwick Island. Those were days when there was no one in sight on the beach when you arrived, you had your choice of hundreds of parking spaces and the whole beach to yourselves possibly for hours if you arrived early enough, but there were also no shower houses, no burger stands and no bathroom facilities except the portable kind. Sometimes we met with friends from home and we'd set up volleyball nets and play off and on throughout the day. I also loved to read and swim and spent a good part of my time in the water, preferring that to broiling on the beach. My husband was a sunbather no matter how hot it was, my son a little fisherman. As the day came to a close, I'd watch the colors of the sky and its reflections on the water and dunes change. The peacefulness of that time and in that spot was for me an enchanted moment. The moments of dusk don't last long, just as the times of our lives go by so fleetingly. The light changes second by second. By the time dusk rolled around, relaxed but with salt-encrusted skin and sand-filled bathing suits, we were ready for a trek home or to the nearest town and Grotto's Pizza. As one of those wonderful days came to an end , I snapped a pic just after my husband had disappeared with the cooler on the other side of the dune. Years later, going through old photos I came across it and the memories of those days made me want to paint it. I hope you enjoy Enchanted Moment.